All over the world the use of tamper evident labels is gaining momentum for safeguarding their products. 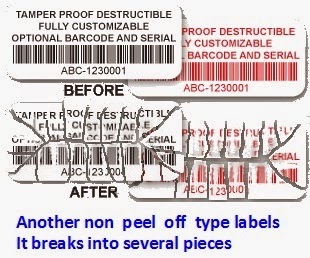 Though the use of such labels does not fully end the attempts to forge the products or counterfeiting, it does help in at least identifying attempted tampering. What is tamper evident label (TEL) and how do they help identify the attempted or actual tampering on the products? 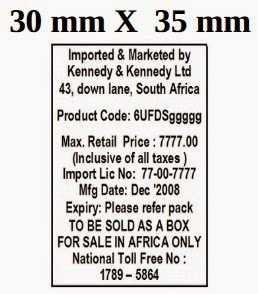 As the name implies TEL i.e tamper evident labels mean, any attempt to tamper or to open the sealed contents is revealed or made evident instantly by the appearance of the labels. Common uses of such security labels include food packing, electronics and other product packs, pharmaceutical products, cosmetics, beverages, or use as warranty labels, as brand protection on valuable products and much more. The labels have covert and overt messages or features for easy or instant detection. Some of TEL are multi layered. Each layer may have a message too. 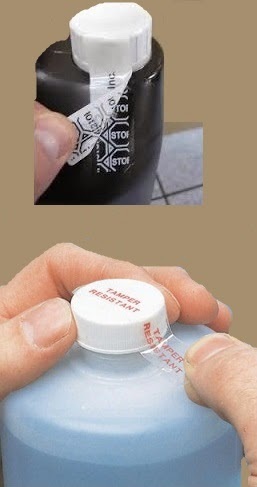 When someone attempt to remove the label from the surface on which they have been pasted or struck, the bottom layer of the label will delaminate to transfer the hidden messages printed on the adhesive side of the labels to show ‘opened’, ‘void’ or any customized special message or sign on the surface of the pack from where they were removed thus revealing that the pack has either been tampered or attempted to be tampered with. Some other TEL on low priced products are simple labels without any 'void' messages or security feature inbuilt in them. They may have some special character or design or unique number code as overt feature. 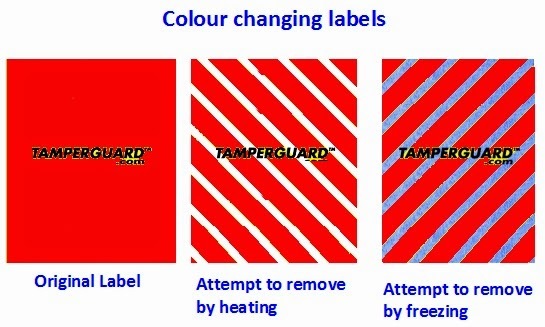 However In the case of TELs which are inbuilt with unique colour changing security feature, when someone attempts to peel off the labels using heat, or freeze the labels for easy removal, a clear indicator in the form of either white or coloured stripes appearing over the entire surface of the label can be seen revealing tampering. When some one attempts to remove the labels inbuilt with hidden 'void' or special message, which of course are printed with a special colour changing inks, on removal of the label the hidden message will not only get transferred on to the surface from where they were removed, but also the colour of the messages will become darker on contact with air due to the special formulation of the inks used. 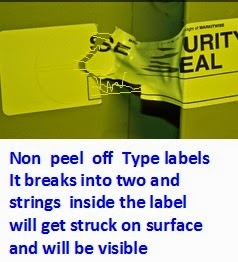 Unable to peel TEL, fearing detection when they again attempt to paste back the peeled off labels or try to paste fresh counterfeited labels in the same place, the dark message already transferred on to the surface of the peeled area will show up as dark image through the top layer of the labels. Besides, the surface of peeled off area will repel the adhesive of fresh labels causing air blocks which will be glaring revelation of the attempted tampering. Some of the customized labels which offer more security are supplied with inbuilt security features too. They include not only colour changing pattern, leaving on surface hidden messages but also special serial no which is registered in the data base etc. The self destructive labels cause fracture like appearance when attempted to open. In particular the destructible labels are generally made on fragile base and therefore it is virtually impossible to remove them in one piece. Some other labels are incorporated with additional special deterrents such as a patented or special slits or cuts or inked design that is only readable with a special gadget on the face of the label. 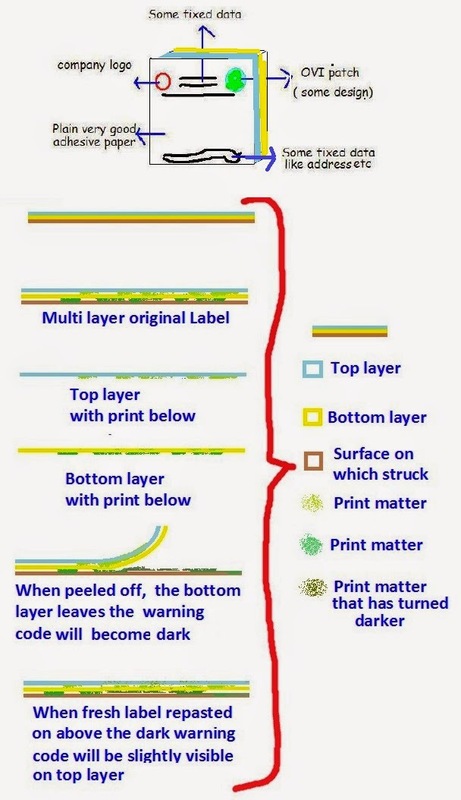 There are multiple layered labels too that helps to keep the sensitive information such as manufactured date and batch no protected by printing them in the second layer which can not be therefore be altered as it will be below the top layer. Labels with security features are used for product authentication, for reducing theft and providing counterfeiting protection. Some of them also help in track and trace operations too. The label manufacturers offer different formats of TEL ready to use which include general type and customized labels, with or without inbuilt security features. The basic difference on the product supplied by them range from labels on paper, thin metal or film base and other advanced combination of materials and production processes. With the new state-of-the-art digital printing equipment and technology, cost-effective multi-colour printed logos and special designs are produced on the TELs. Few of the most important industries that consume huge quantity of TEL has been the pharmaceutical industry followed by automobile spare parts industry both of whom grow universally by not less than 5 to 6 % every year. In order to protect against all adverse influences like counterfeiting/adulteration of their products, they keep on updating their package protection system with the passage of each day especially on high value products and life saving products in pharmaceutical industry. Counterfeiting in the pharmaceutical or automobile spare parts industry is not limited to duplicating their products but also counterfeiting the sealed packing similar to the originals so as to sell the fake products as authentic ones. Therefore the use of particular firm specific TELs on their packing as well as containers acts as the first deterrent in thwarting the tampering attempt as most of the TELs are firm specific which may not be available everywhere and are also not easy to copy for duplication as they keep on changing the elements of features sometimes with each batch. Therefore the intent to provide anti counterfeit and tamper evident features, all with strong adhesive on their back is the foremost priority in the minds of the industries who are more concerned on the safety of their products. Many varieties of material used for tamper evident labels as I said earlier include very thin but strong paper to thin film substrates. The features found on the TELs especially used on the packs of high value products include overt and covert features. Some varieties produced are shrink seal TILs, TILs with security cuts (the security cut features are built in by the label printer at the converting stage itself) done with the help of a special cutting die. The face of the material is given cuts at various angles so that by any way if one try to remove the labels the paper will tear off. Some others are also colour changing destructible labels which is available both in clear and opaque formats using aggressive pressure sensitive adhesives. The labels can be automatically dispensed on automatic label dispensers and when some one attempt to remove them they colour change and get cut to different shape making it difficult to replace the same label or put even a new label in the same place. Some of the labels which too can be automatically dispensed on automatic label dispensers or manually pasted when attempted to remove them they break-up into very small fragmented pieces. 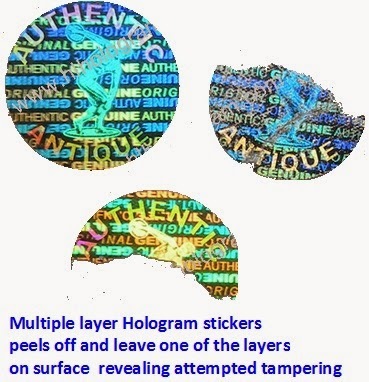 They have metallic threads interwoven in the base material so that when tampered, only the top layer of the label will break but the metallic strings inside will remain struck to the surface of the material on which they have been pasted. Unless deeply scrubbed they cannot be removed. Scrubbing will immediately show the act of tampering. The purpose of a covert feature is only to enable the brand manufacturers to identify counterfeited product. The general public will not be aware of its presence nor have the means to verify it. A covert feature cannot be easily detected or to copied without specialist knowledge on the inbuilt feature. Some of the labels when attempted to peel off will leave any one of their layer which also changes colour. If the fresh label is pasted in the same place, the general appearance will be different than the original thus revealing tampering. Overt features are intended to enable end users to verify the authenticity of a pack. Such features will normally be prominently visible, at the same time difficult or too expensive to reproduce. They are designed to be applied in such a way that they cannot be reused or removed without being defaced or causing damage to the pack.